From the world’s first quartz chronograph in 1975, TAG Heuer has provided us with the latest in timing technology. And since then, they have continued offering us a wide selection of perfected, dependable watches from Switzerland. It promises exact time measurement, while still maintaining its user-friendly status. And they have done it again with the Formula 1 Chronograph 42mm CAU1110.BA0858. This time, they have worked together with Vodafone McLaren Mercedes to create this new model. The key features of this watch include a 1/10th of a second display and water resistance up to 200m. The hands and markers are given a radiant quality that accentuates it. 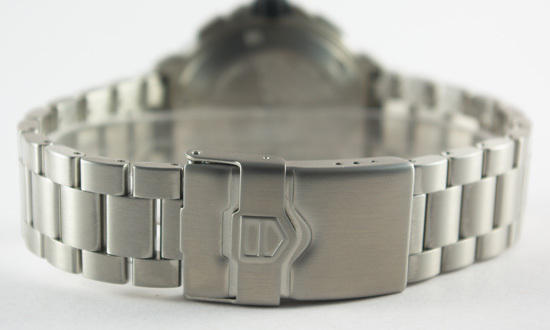 This watch’s easy grip and double security folding clasp makes it simple to wear yet difficult to lose. And you wouldn’t want to lose this gem! And you don’t have to worry about any scratches because its sapphire crystal material will ensure that nothing less than a diamond will affect it. Polished steel band of Formula 1. 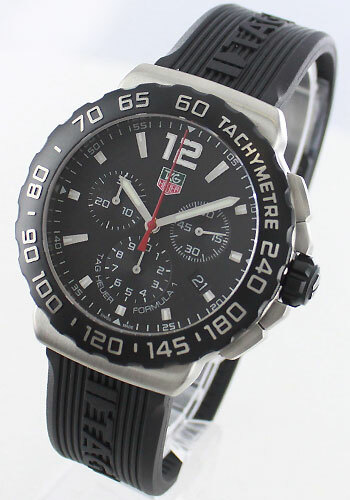 This Formula 1 model differs from the CAU1110.BA0858 only by its strap, which is rubber rather than polished steel. In my opinion, the rubber is much more comfortable than the steel, which can feel cold and rough against your skin. I also believe the black rubber also matches the black dial better than the steel band does on the other Formula 1. This watch has the look and the feel of a sports watch, but the quality of a high-end timepiece which is what I like. 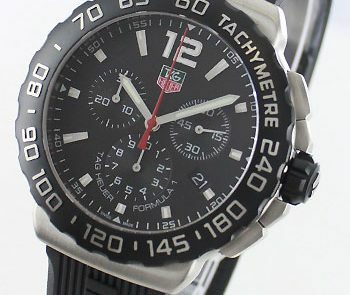 This TAG Heuer watch retails at $1,700. Though this may be a little more than what you buy your sports watches for, this cannot be compared. It is in a whole new timepiece league. Because of its extremely high quality and long life, you won’t need another sports watch again. This is well worth every penny. My Tag watch just after to years old broke/stripped crown and is not covered by warranty. DO NOT BUY. It seems to be a common and major problem for the watches!